What are the conditions for a constitutional crisis? 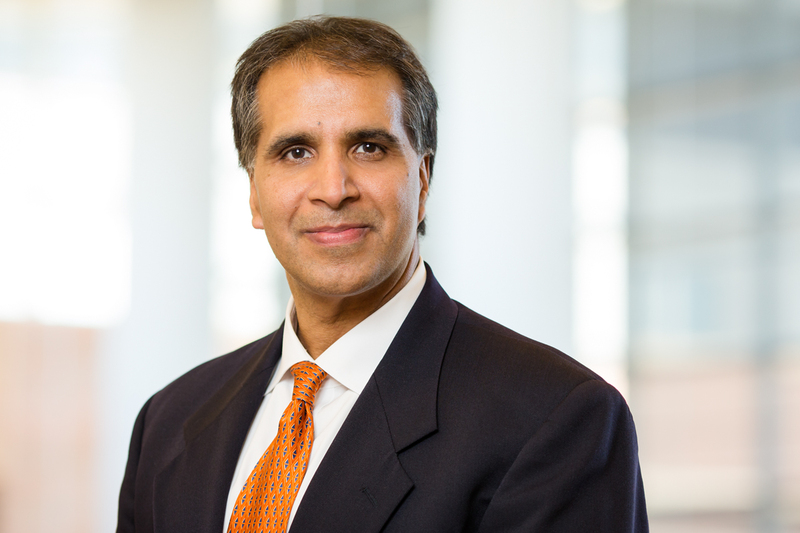 Despite a turbulent first month under President Trump, the U.S. is not on the verge of a constitutional crisis, said Vikram Amar, dean of the University of Illinois College of Law and the Iwan Foundation Professor of Law. Vikram Amar is the dean of the University of Illinois College of Law and the Iwan Foundation Professor of Law. Amar, an expert in constitutional law, spoke with News Bureau business and law editor Phil Ciciora about the concerns voiced by some parts of American society that the U.S. could experience a constitutional crisis under President Trump. What is a constitutional crisis, and are we moving toward one? Although I know of no textbook definition, to me a constitutional crisis occurs when our constitutional framework and norms are being violated to the point that resolving disputes peacefully and conducting government business even moderately effectively is impossible. The Civil War was one such crisis. Watergate and the Nixon resignation were not. The process there was messy, but the constitutional system worked as designed – a vigilant and constitutionally protected press and a conscientious Congress prevented a corrupt president from continuing to flout fundamental laws. The 2000 election had the potential to be one – and many feel the Supreme Court’s intervention was inappropriate – but the relatively orderly aftermath allayed fears of a true crisis. These are unusual times to be sure, but we are not to my mind in or on the verge of a constitutional crisis. What is the worst-case scenario? The president defies an unfavorable ruling from the Supreme Court? Or something else? That is one potential crisis scenario, but remember that President Trump has not threatened to defy any court order, and indeed is rewriting executive orders to accommodate judicial rulings, even rulings with which he disagrees. In theory, other crisis scenarios could include severe crackdowns on free speech – which, like an independent judiciary, is key to our constitutional structure – or, depending on what happens in upcoming elections, an even more contentious relationship between Congress and the president than we saw during the Obama years, in which basic tasks like filling Supreme Court vacancies go unperformed year after year. But none of that has happened. How can cities and states combat overreach from the federal government? State and local governmental bodies can be venues of political organization and opposition. They can enact laws that demonstrate better policy approaches than the federal government is pursuing. They can refuse to actively help in federal law implementation. And they can sometimes act as plaintiffs to file court cases challenging federal power. But there are limits. One problematic aspect of the Ninth Circuit’s decision upholding the block on President Trump’s original executive order on entry into the U.S. was the determination that the state of Washington had standing to sue on behalf of foreigners. A state can’t sue merely because it is affected by something the feds do, just as a Middle Eastern restaurant owner in Seattle can’t sue simply because she might lose business from the immigration ban. When a president criticizes the court system and individual judges as thoroughly as Trump has, is there a chilling effect on the judiciary? To be fair, let me add that many top constitutional analysts across the ideological spectrum think at least some key judicial rulings against President Trump have been significantly flawed, even if many of these experts are muted in their defense of the Trump administration’s legal stance because they find his policies unwise or abhorrent. I hope that no judge lets personal attacks affect a judicial decision in either direction. The current Supreme Court would not be easily bullied. The justices are a confident group united in, if little else, their belief that the court should be involved in the nation’s biggest decisions and that its rulings should be heeded. Is the question of judicial independence something that Supreme Court nominee Neil Gorsuch should be asked about at his upcoming confirmation hearing? Yes, but it’s hard to imagine that he would assert anything less than a full-throated defense of it. The bigger question is whether the Senate will be successful in getting Judge Gorsuch to share his views on specific cases that have come before the court in the past. That is the only way to get a meaningful sense of where he may move the nation's jurisprudence. Platitudes about judicial philosophy mean little until you get someone to apply them to particular disputes that have divided justices in recent decades. Many senators may say that while they may properly ask a nominee about his general approach to judging and interpretation, they should not ask for detailed views about actual cases, because doing so might force the nominee to prejudge issues that may come before him later. This is nonsense. Of course the nominee should not make, or be asked to make, promises about future rulings. But the disclosure of specific views about past cases does not commit the judge to rule in any particular way in the future. He remains free to change his mind if he is persuaded by sound legal arguments, the same way sitting justices are free to do so even though they have spoken publicly on these matters in deciding the earlier cases themselves. Surely no one thinks they are conflicted merely because they have opined on an issue in prior decisions. If senators cannot unearth and examine Judge Gorsuch's specific views about a dozen or so key cases decided over the past few generations on topics such as abortion rights, the meaning of the Second Amendment, the scope of Congressional power over voting equality, etc., we ought not waste time on a hearing.